Before you begin a patio or driveway project, you should carefully plan to ensure your ideas run smoothly. This simple guide runs through essential tips that you should take into consideration before starting your project. The first step in the planning process is to define the use of the area to be landscaped. Different areas provide different functions and once you decide on the function, you can determine which materials will work best. 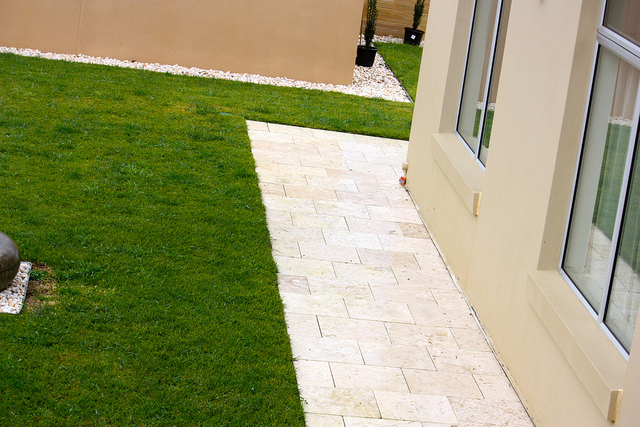 Perhaps you want your paving to improve the overall appearance of the property, or improve access to the property. 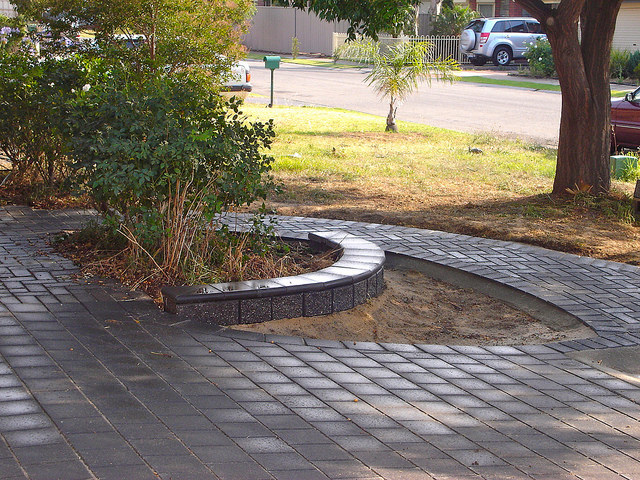 Maybe the paving will serve as an external seating area or you just want to tidy up your garden a bit more. Once you have decided what function your paving area will serve, you can begin to think about your design and how your materials will best work to fit your ideas. The next step is to decide on the products you want to use for your project. Decide which materials suit your tastes, taking into consideration whether you prefer contemporary or traditional styles, and consider which products complement existing features. For a greater impact, you could also consider combining products and materials. An area combining flagstones, circle features and setts will have a greater impact than an area consisting of simply flagstones. Decorative aggregates may also be a consideration. Try perennials, herbs, grasses and alpines to add texture and intrigue to your design. Now that you have decided on the purpose of your patio and have an idea of which materials you want to use, the final step is to plot the area involved. Firstly, measure the area to be landscaped; taking into consideration any existing features such as trees and manhole covers. Next, calculate the gradient of the patio to ensure sufficient water drainage. Smooth surfaces require a gradient of 1:60, and rougher surfaces a minimum of 1:50. For example, you are laying an area with a minimum gradient of 1:60. It is 5m in length x 3m wide, with a drainage gully at the end of the 5m length. Patio to fall 83.5mm towards drainage gully. Finally, make a plan of the total area to be paved. Set out a scale drawing using your measurements and gradients, making sure to indicate any existing features. This scale drawing can then be used to calculate how much material you will need to complete your design. These 3 steps will allow for a more successful paving project. Through deciphering the purpose of your patio, choosing the most effective products, and making a plan of the area, you can check that your ideas work well, be better prepared for your project, and guarantee a more impressive patio. This post was written by Simply Paving , a leading online paving supplier with expertise in gardening, paving, DIY and design.